"Cathay Pacific cracks down on petty theft by cabin crew of Hong Kong carrier’s in-flight supplies"
BT: No big deal la cos SQ has been cracking down and sacking numerous cabin crew on same issues since day one! The once high flying and pride of India is now folding up, leaving hundreds of passengers in limbo. It has been accused of allegedly treating its customers poorly. It has not been paying it pilots salaries for a year now and it is so broke that it can't afford to pay for its fuel. Yes, I am talking about Jet Airways. In mid 2000s, at the height of its glory, it even try to persuade the cabin crew of SIA to join it. I was one of those who went for the interview and was verbally told it would recruit me as its chief purser. My colleague VJ was promised the post of Singapore station manager when he helped conduct the cabin crew interview. As sure as its eminent collapse, it broke its promise to employ us. 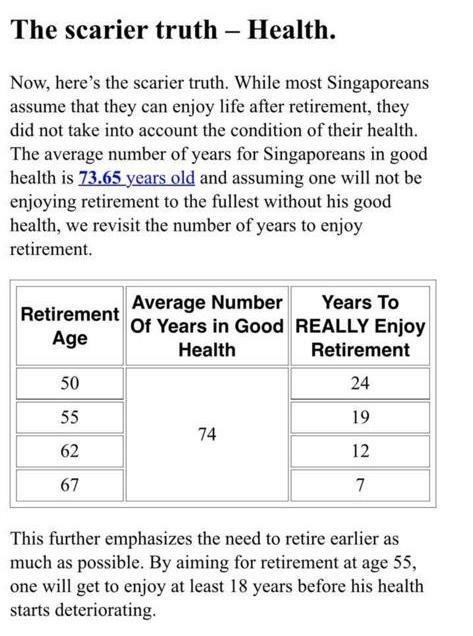 Still don't wanna retire early?? Tony looked thin and haggard. He was an ifs with SIA but has retired about a decade ago. I met Tony a few months ago at a food court near his house. He complained he is withering away due to his poor health. I sat down and had a coffee with him. We chatted for a short while. As I remember it, Tony was the crew who had the guts to complain to the chairman about the unfair treatment he received from his director. Although senior in service, Tony was not promoted. The chairman had a word with the director and at the next promotion exercise, Tony got his promotion. Well, I am not sure till this day whether Tony was promoted by his director out of fear or on his merits.